The days were long, but the year was short! 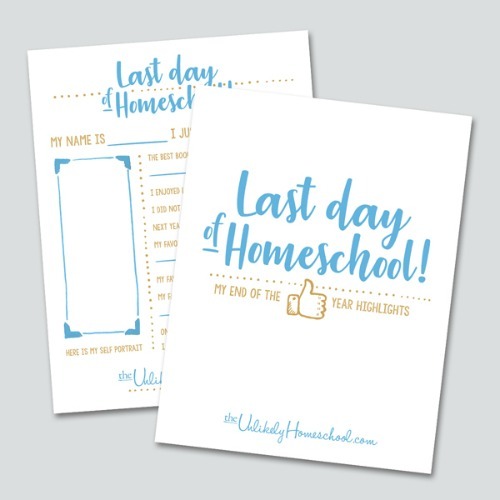 Can you believe the last day of school is just around the corner? I don't know whether to clap or cry. You too? I don't need to even look at the growth chart which dangles on the wall in the hallway to know that my kids have grown this year. One peek at their shrinking pant legs or my ever-lengthening grocery bill prove that. They've all gotten taller, to be sure. 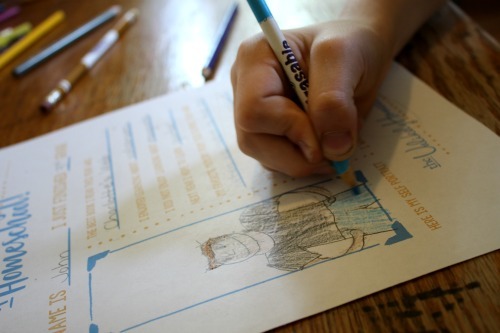 But they've changed in other ways too--in ways that can't be recorded by a growth chart or a grocery bill. It happened over time when I wasn't looking, but I don't ever want to forget it. 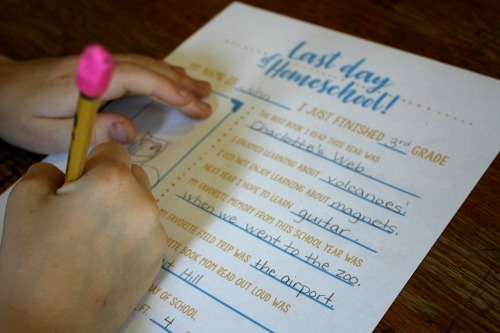 After searching in vain for a last-day-of-school keepsake that would appropriately condense the memories of an entire homeschool year onto one page, I decided to make one of my own. 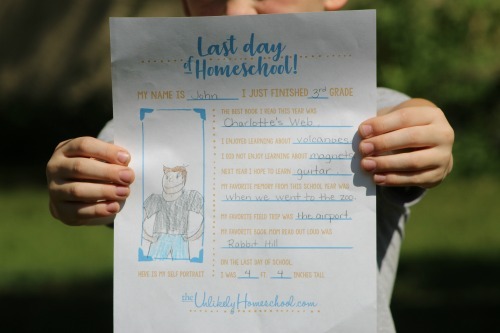 I plan to print it out from year-to-year, add the interview into our last-day-of-school activities, and stash the completed pages into our annual portfolios, in order to one day see a small piece of the slow-and-steady shaping of their childhoods. 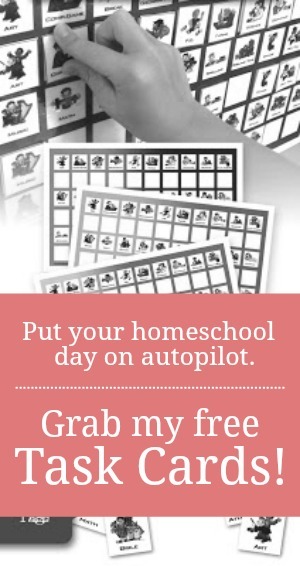 If you'd like to join me in keeping a snapshot of this homeschool year, I invite you to download your very own copy today!